What a great time I had at Stunt University. seriously one of the best decisions I've made. Just completed working on her first movie - Wind River. first stunt job on the movie - "If I Leave Here Tomorrow"
just 2 days after finishing our Stunts for Beginners Course. I came all the way from France to train at Stunt University and was truly amazed at how much I learned in 8 days. I had a wonderful time and learned so much from these Hollywood professionals. They are the real heroes in my book. all working on the movie "Geo Disaster". WOW! What a blast. Thanks for all you do. Can't explain how much I appreciate what you and your team have done to help me get my stunt career going. See you in the movies. Thanks for having this beginners course. You gave me the help I needed to jumpstart my dream career. It was way too much fun. As an actor interested in doing my own stunts, Stunt University could not have been a better investment. From day one it was clear that the stunt professionals running the course were passionate, experienced and thorough. The fact that they are ALL currently working as HIGHLY RESPECTED STUNT PROFESSIONALS IN HOLLYWOOD is more than a bonus- not only do they have the experience to back up their words, but they also have the connections anyone would need to be a successful stuntman or stuntwoman in the entertainment industry. Each daily schedule covered essential physical, professional and business skills that are necessary in the stunt profession. Not only that, but more often than not they went above and beyond to include extra lessons that weren't even on the schedule- once again showing how passionate they really are. The fact that this is the best stunt training around, coupled with the fact that it's the most AFFORDABLE around, makes Stunt University the obvious choice for anyone who is actually serious about their career! Now working on a series for SHOWTIME. I hope to be successful at becoming an action actor. There would be no bigger thrill for me. You gave me real tools that I can start using right away. really motivated me to get out there and go for it. but I was bumbling around like most amateurs before I found your course. Thanks for the direction and experienced training. You guys made it a blast ! 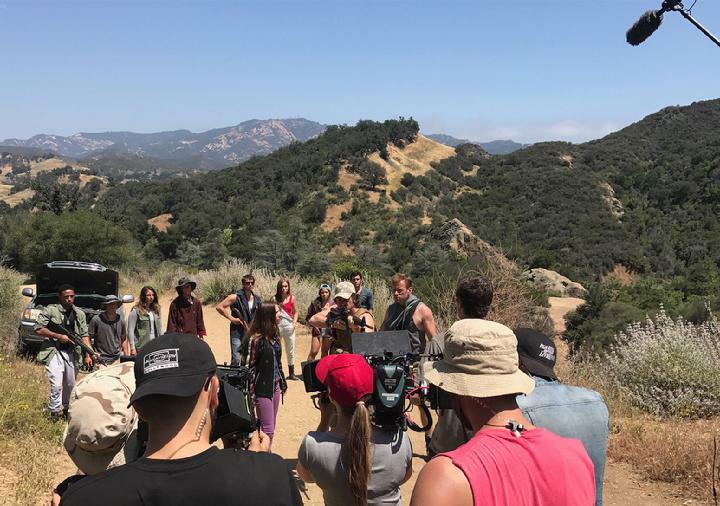 Attended the 8 day Stunts for beginners course in Los Angeles! Fully energizing and an adrenaline rush. Very Empowering... I saved lots of grief using just one of your resources. So impressed we booked again for our entire martial arts club back in Dallas. For someone who was a total novice to the stunt world, the Stunt University course worked great for me because it provided an amazing amount of inside info that brought me up to speed quickly. I could take the course in between my regular job and I really learned so much. I got more out of this 8 day course than I ever expected. My previous failures drove me to become an alumni of Stunt University. I have really begun to turn things around and focused my job search in a productive direction now. This is real inside information, you really made it easy - marketing stuff was an eye opener - I had no idea and until now and was afraid to ask. Can't begin to tell you how excited I am! Fun - Fun - Fun... and great resources. Amazing one day team building event. Learned a lot about something our team has never experienced and probably never would have. Great motivating experience for the whole company. Our one day stunt event was an amazing experience for our small group. It has re-juiced everyone and our sales team has bonded like never before. Thanks for creating this course program. This has really helped me take it to the next level. I am not sure how much demand there is for someone like myself but I have the utmost respect for all stuntmen and women of all ages and sizes. I have been working in special effects for some time. The course has just opened my eyes even more. I have been trying to get started as a stunt woman for some time. I accomplished fights - falls - burns and a myriad of other abilities. When it came to the business end... I was lost. This has really pointed me in the right direction. I'm approaching my stunt career on the international stage now. Thank you Stunt University !